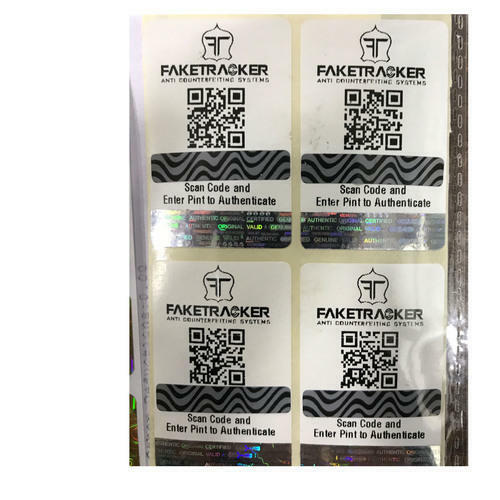 We are one of the leading manufacturers and suppliers of Hologram Paper Labels, which are fabricated from supreme quality material. 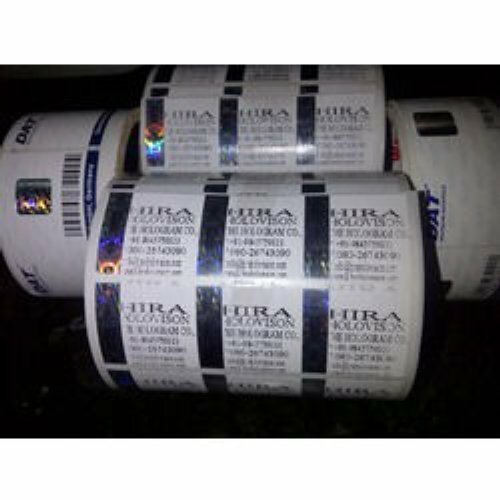 These labels have three in one advantage that is these offer labels, hologram and barcoding in single step. This helps in saving costs, time as well as labor. With these labels having wide usage in different industries, the new technique used is more sophisticated as well as it provides superior in terms of security. 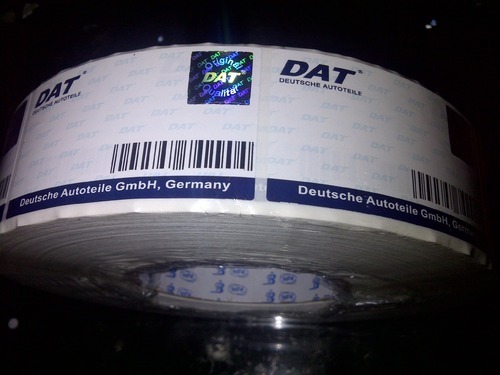 As compared to traditional method of holographic paper labels that have strip on one side of hologram, we we offer hologram on labels which makes it more unique as well as also help in branding and meeting the enhanced security requirements. 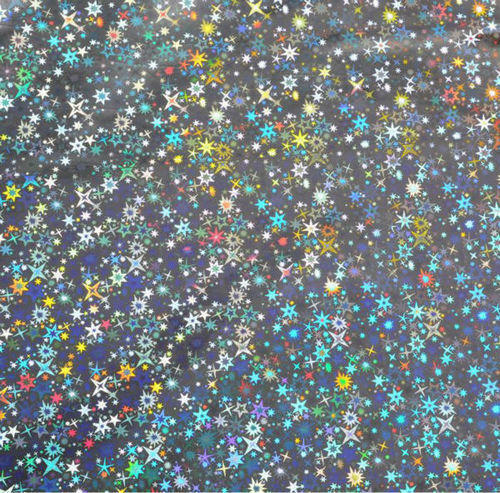 Special heat activated adhesive coating is provided in foil that enables user to laminate holographic strip to substrate that uses attachment in customer's existing lamination machine/automatic lamination machine. Holographic paper labels are one of the Latest development in the Hologram Industry and are used Instead of Normal Paper Labels. These kind of Labels are 2 in 1 Labels which have the advantage of Security and Identity. 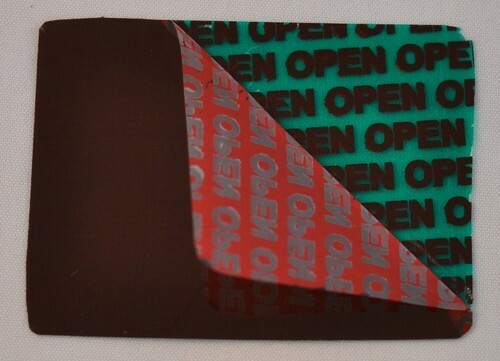 We are specialize in Paper Holographic Labels and if you use both Holograms and ordinary paper Labels this solution is an Ideal suggestion for your Brand. 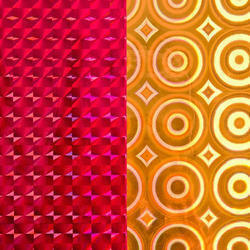 Avail from us Holographic Paper that is made by embossing holograms or transferring holograms directly on paper. Moreover, the paper used are 100% recyclable paper and has the same overprinting, crease and fold characteristics as conventional paper. The products are ideal for conversion into gift-wrap, shopping bags, tags, labels, boxes, and stationery such as cards, stickers, and folders. Available in various colour and sizes, these can also be custom made as per the clients requirements. 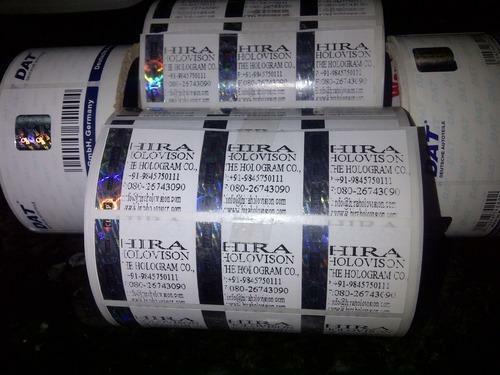 Looking for “Hologram Paper Labels”?